It has been a few years since football clubs began marking Remembrance Sunday with poppies stitched into shirts. Ten years ago you might have got a few Royal British Legion volunteers quietly accepting donations and doling out poppies outside the ground on the weekend closest to 11th November. Like most things in the sport, however, things have gone big. Really big and, to be honest, they’ve got a little out of hand again this year. Yet again, James McLean, now of Stoke City, has been the target of frankly ludicrous and sickening bile for having the audacity to politely decline a poppy on his matchday shirt, carefully and respectfully explaining the cultural, religious and historical reasons as to why he feels he cannot wear what is, to many people, now not just a symbol of remembrance but a badge that carries with it some serious political baggage. Nemanja Matic also chose not to wear one this year, but didn’t seem to receive the aggressive insults that McLean endured from both sets of fans at Stoke’s home game last year. Football seems to have become the self-appointed arbitrators of remembrance and I know I am not the only one who feels deeply uncomfortable about it all. Call me a traditionalist but I am sure that bullying people for not “remembering” in the right way is kind of the exact opposite of the original concept of remembrance. There is one club that is making a rather touching and classy tribute on the 100 year anniversary of the war to end all wars. 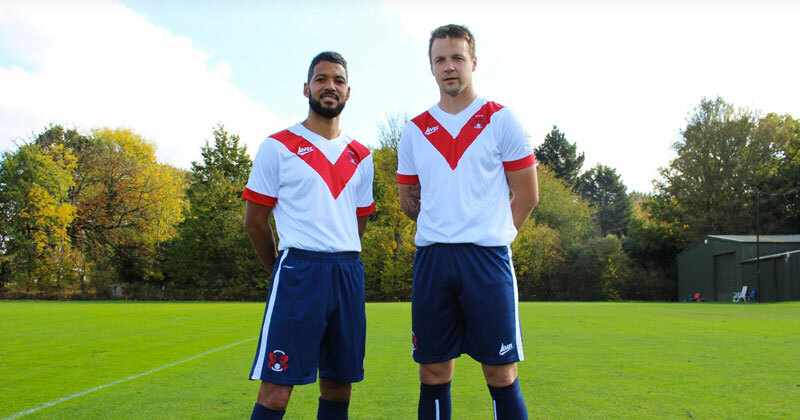 Leyton Orient, of the Conference Premier, have launched a limited edition one-off kit for their home game against Bromley on 17th November. The kit is absolutely stunning. A remake of Clapton Orient’s (as they were known at the time) kit at the outbreak of World War I, it only has one logo on it, that of kit manufacturer Avec. The story behind it is even more impressive than the kit itself. At the start of the conflict football got a bit of a kicking as the sport played on whilst young men were annihilated in their droves in Belgium and France. Pressure mounted on the game to “do its bit” and a meeting was called at Fulham Town Hall in mid-December 1914 to persuade footballers to join the war effort. First to the stage was Clapton Orient’s captain, Fred Parker. Known as “Spider” he was the first to speak and in that moment the 17th Middlesex Regiment, or the 1st Football Battalion as it was better known, was created. A further nine Orient players joined up, the ranks swelling to such a degree that the 2nd Football Battalion was established, the 23rd Middlesex Regiment. It is not known exactly how many footballers served during the conflict. However, some 300 footballers lost their lives in the mud and violence, like the millions of others: cut down in their prime, their true potential on and off the pitch unfulfilled. The part Clapton Orient played in the conflict was probably no greater than any other club that offered up its young men for western front, however, their role in that original recruitment meeting burned deep into the public’s psyche and then the brutal realities of the conflict were brought back to East London as they lost three of their players on a single battlefield. A few weeks later McFadden lost his life, as did George Scott, another Orient player, all three of them were under 30 years of age. The way that the modern club have chosen to mark the 100 year anniversary of its players, staff and supporters (a total of 41 people connected to the Club signed up to help) sacrifice is both dignified and apposite. The kit is beautiful and really does look like the one modelled on Mac and Spider in their cigarette card pictures from a century ago. That the Club are auctioning off the match worn kits of their players to raise funds for a permanent gravestone for their captain and the spiritual leader of the 1st Football Battalion is further evidence of a thoughtful and community-based remembrance. It’s all a million miles away from the anger and outrage that plagues the clubs at the top of football’s pyramid. 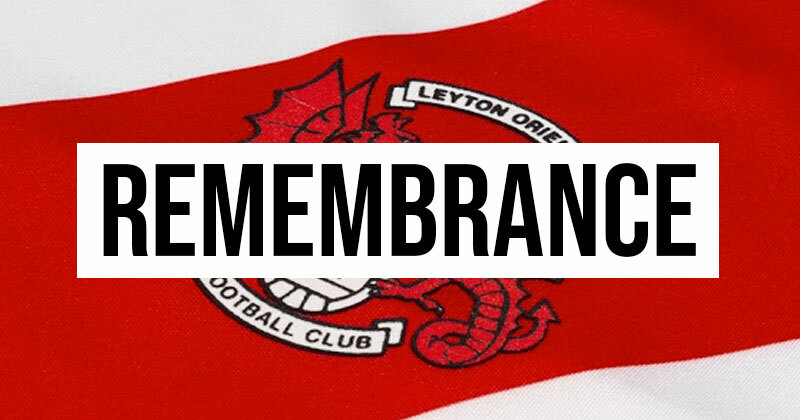 Well done Orient, who would have thought we’d need reminding what remembering is all about, eh?